Alpha is the first successful, state-of-the-art android shown to the public by The Apex Group. He was invented by Jonathan Rivers and the numerous of Apex employees which took years to develop. His inception has caused The Apex Group to expand and grow more than just the average tech company. He was the turning point that made The Apex Group a tech giant in the Pokémon world. Alpha is the only of his model as 'he' serves as a personal assistant to Jonathan but serves as a base-line for the publicly sold android models. 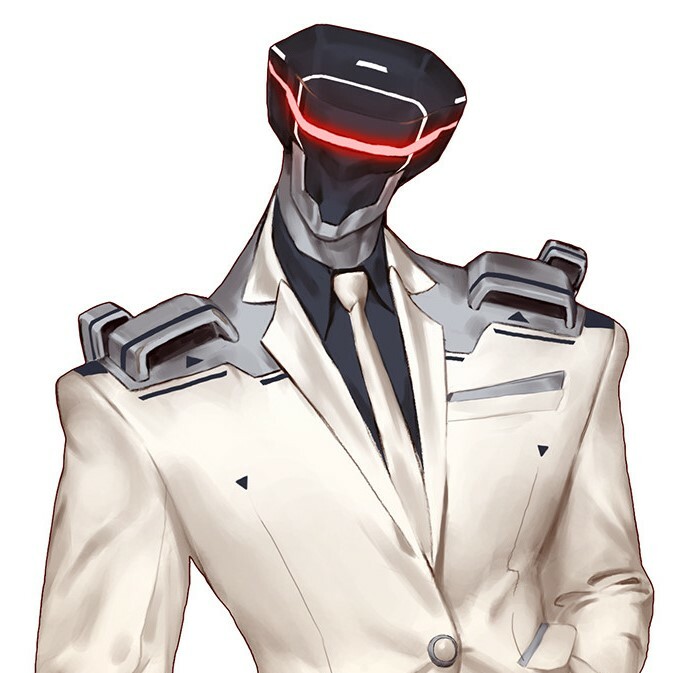 Unlike his public androids who have a simple artificial intelligence, Alpha is operated by an well-kept, advanced form of artificial intelligence, code name Δ-M, and is capable of advance human-like thoughts. He is one of the key Admins in The Apex Group, capable of being both the brain and the brawn of any task required. His intelligence serves useful in complex issues and com You can find him often alongside Jonathan Rivers as his own bodyguard and advisor. Their relationship is more akin to close friends than a creator-and-creation type of relationship. He is also well-versed in Pokémon battles, having an built-in encyclopedia of every Pokémon. This allows him to immediately bring up the Pokémon's type, their possible abilities, their type weakness, and move pool. His existence raises plenty of questions and alarm to the public. But Jonathan re-affirms the public that Alpha is someone to not be afraid about. Alpha curiously has a huge affection for making Pokémon food.